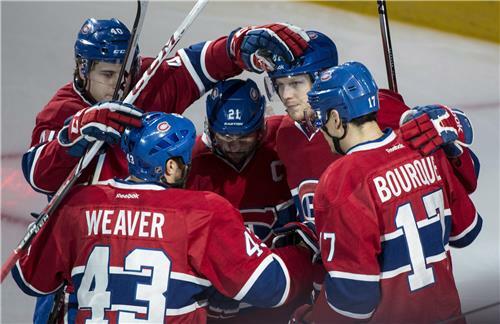 Game six of the Montreal – Boston series is about to get underway. After winning 4 – 2 on Saturday, the Bruins lead the series 3 – 2 and could end Montreal’s season in their hometown tonight. These two teams last met in the 2011 quarter finals, with Boston winning the series 4–3. With 5:19 to go in the period, Montreal is holding on to the one-goal lead they've had most of the game. 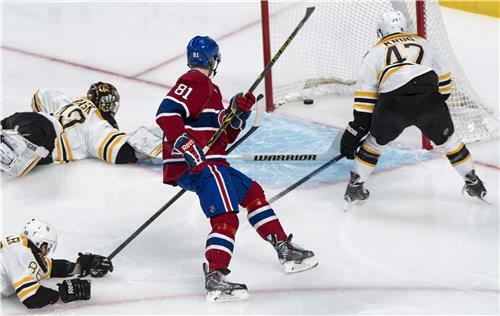 Max Pacioretty puts it between Rask's legs for Montreal's second goal of the game. From Nathan Beaulieu and Mike Weaver. Less than three minutes left in the 2nd as Boston tries to battle their way back into the game. But Montreal is back on the power-play after a high-sticking penalty. Vanek scores with 2:21 left in the period, assisted by Pacioretty and Andrei Markov. Pacioretty with a chance at his second goal of the game, but Rask makes the save with 0:15 left to play. The 2nd period ends with Montreal up 3-0 in a must-win game. Montreal back ahead in both shots (23-18) and hits (31-26) going into the 3rd period. Montreal will force a game seven in Boston on Wednesday with a win here tonight. Third period begins with Boston needing to climb back from a 3-0 deficit. Great save by Rask on a Montreal two-on-one as the net comes off the pegs. Montreal chance comes after solid Boston scoring opportunity at the other end. Canadiens put one off the side of the net, keeping the pressure on with 16:00 left in the game.